It’s no secret that I’m a huge lover of notebooks in general and bullet journaling in particular. In my opinion there is no problem so insurmountable that a good detailed list and some highlighters can’t fix. 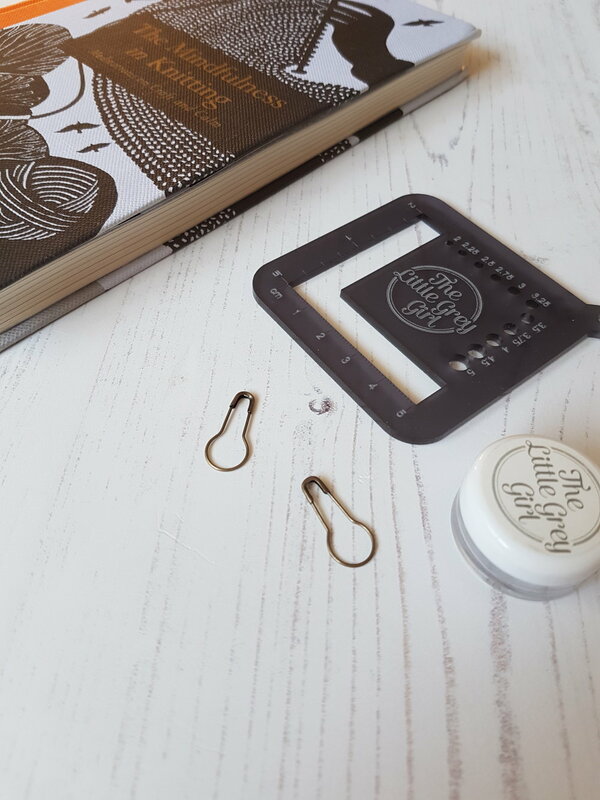 As I know that fellow BuJo fans can never resist a peek into a fellow journaling layout I thought I would share my July planning pages with you and talk a little more in detail about how I combine my twin loves of knitting and bullet journaling. My usual bullet journal spread is plain and functional - no washi tape for me - and at the start of each month I have my calendar/advance planning and then on the double page directly after that I have my monthly knitting plans. This varies from month to month according to my mood and what I’m working on but at the moment it takes the form of a basic tracker where I list all the projects I want to make progress on this month. I don’t religiously track everything but it helps me to focus on where I want to direct my efforts. I also keep a note of projects in the pipeline and things that I want to follow up on. And I keep a separate section for monthly challenges or particular hashtags that I want to use or follow. So for July for example - #stashdash is an obvious one that I want to use and engage with. When I start a new project it gets a fresh double page in my journal and I make a note of it in the index too so I don’t forget. 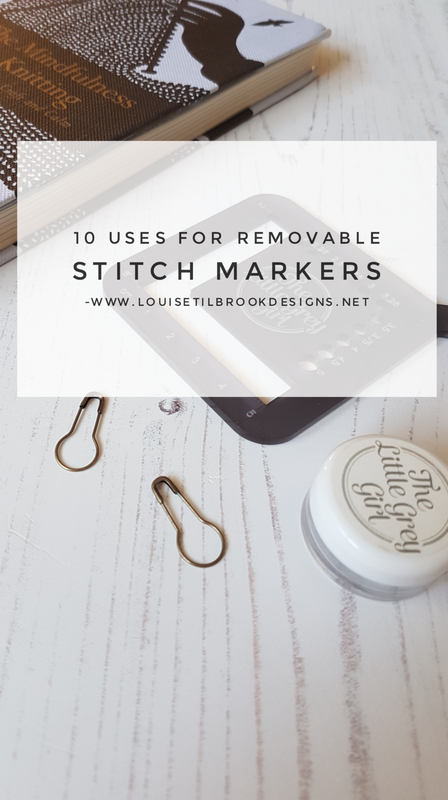 I use this page to keep a note of any pattern adjustments I might make, what needles I'm using and where any particular supplies are kept. Reading this it sounds as though I'm so organised but I think it's fair to say that this section often ends up with a lot of bits of scrap paper jammed in there too. This is just the basics as I try to keep most of my notes organised electronically these days. But nothing beats the trusty pen and paper especially when you are out and about or your phone battery is flat. I know that other BuJo fans use theirs to keep a track of what they want to buy at yarn festivals for example, or to keep track of their purchasing or stash (scary thought). But that's the joy of the bullet journal - endlessly adaptable and flexible. 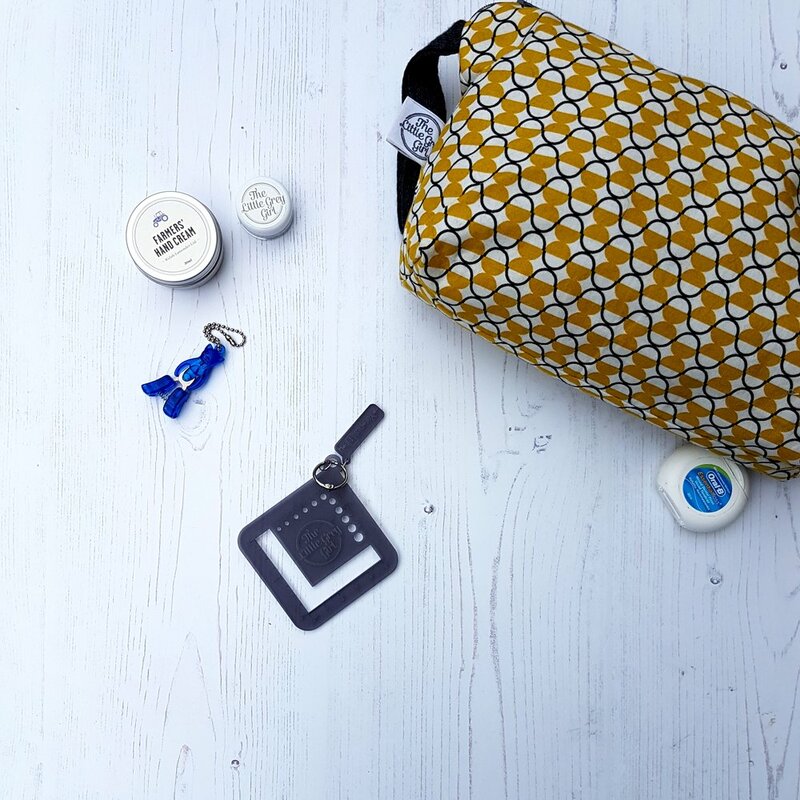 It can the knitting planner you've always dreamed of. You just need to use it and make it work for you. If you don't mind I'd love to see how you use yours - just tag me on Instagram or leave a comment below. What started out as a bit of fun turned out to be quite a thought provoking exercise. I loved seeing everyone's #bestnine2017 photos on Instagram and, despite saying that I wasn't going to do any "looking back" type exercises I couldn't resist popping my details in to see what my best nine guide looked like. And I was a little bit surprised to be honest. I have spent a quite a bit of time (and some money) recently on improving my photography and styling skills. Instagram is such a visual platform as we all know and with the recent algorithm changes it has become increasingly difficult for your photos be seen about the rest. I've played around with lighting and composition trying to find the type of shot that does well as well as trying to improve my own skills - for the sake of learning and growing. It was interesting to see that of the photos ranked as most popular (by the number of likes) the majority of them were taken quite spontaneously with very little in the way of styling or editing. The blanket (top right) and sock on a beach were literally quick snaps, taken and posted within minutes with no fancy pants editing. It's hard to draw conclusions from such a random snapshot but I think the lesson from this is clear as I move forward into 2018. To spend less time faffing about with images, editing and all that malarky and just to keep an eye open for engaging or colourful shots as they present themselves. A bit less worrying about style and a bit more substance is going to be the order of the day. This is a bit of a mini rant so I'll issue apologies up front and feel free to move on if this isn't of interest. I'm sure it can't be just me though who has noticed this. Over the course of recent months I've noticed that there is an increasing trend for people to regard social media as their own personal pattern search engine. 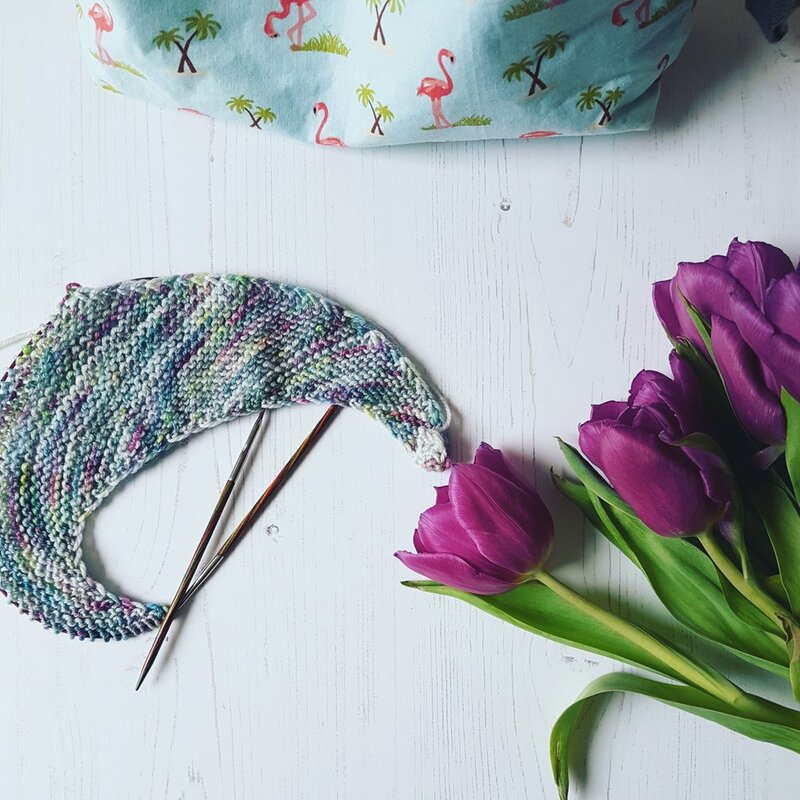 A good friend of mine recently posted a photo of her knitting in progress on Instagram. She is a designer and frequently shares photos of her work, her inspiration and her designs. This however was just the yarny equivalent of doodling. Playing around with yarn and needles for the sheer joy of it. 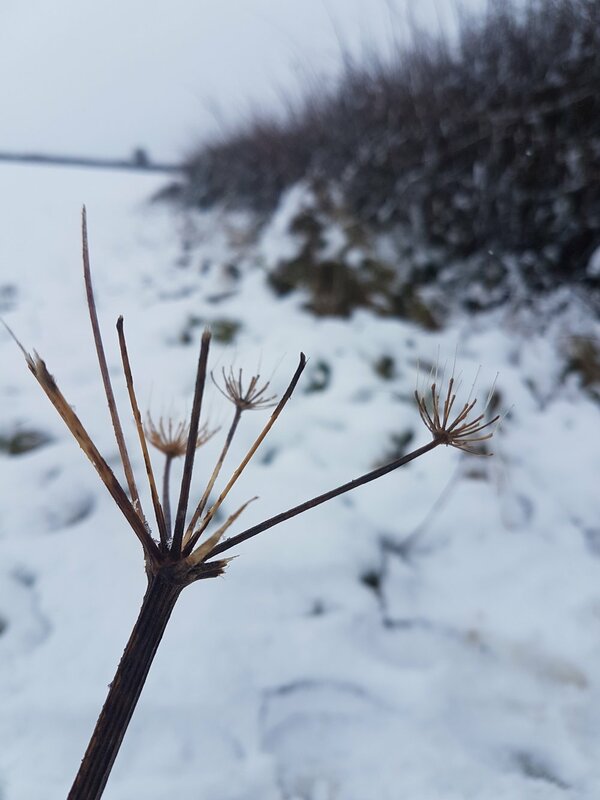 She took a quick snap of the pleasing colours and textures and thought nothing of it. Then she found herself besieged by requests for the pattern in the comments. "Pattern please" people merrily chirped again and again, and even just the rather curt "Pattern?" - the latter clearly from someone who didn't graduate from charm school recently. And of course, as is often the way, I found myself noticing this pattern of behaviour over and over again, across all social media platforms. A lovely photo of a finished knit would invariably attract more than a few of these types of responses with varying degrees of politeness. 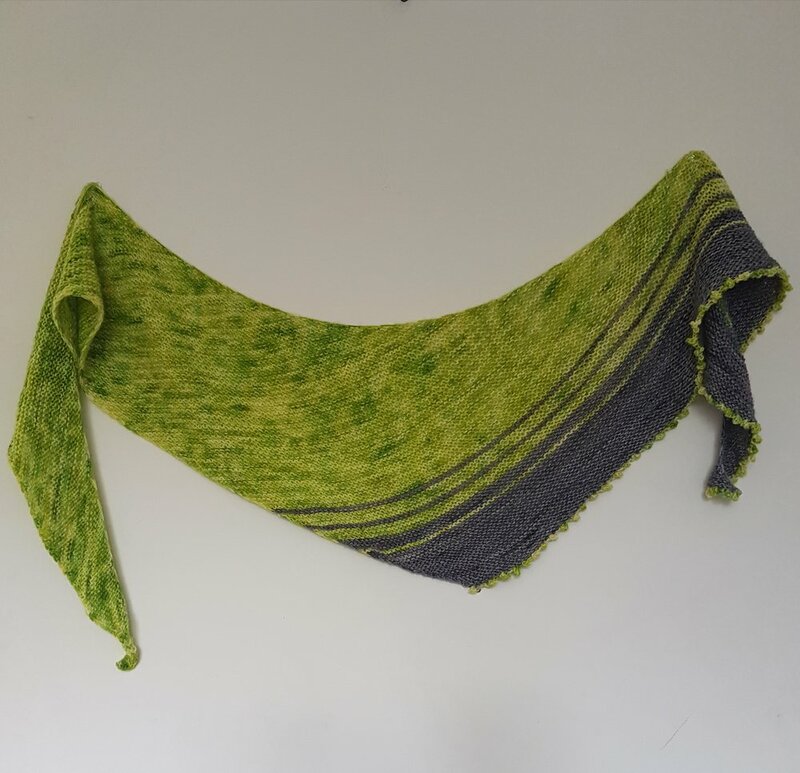 I absolutely love seeing photos of people's finished work and yes, sometimes a particular pattern intrigues me enough to want to go and track it down on Ravelry, but as a grown woman I'm more than capable of doing that myself - I don't require the original poster to provide the link for me. I've even seen instances where people get cross with the original poster for not providing a pattern link. "But it's up to them (the original poster) to provide the link", they assert confidently, "It's their responsibility"
I would like to make the case for the exact opposite and suggest that posting a photo of your finished knits bears no such responsibility. What on earth happened to sharing our knits for the sheer joy of sharing? 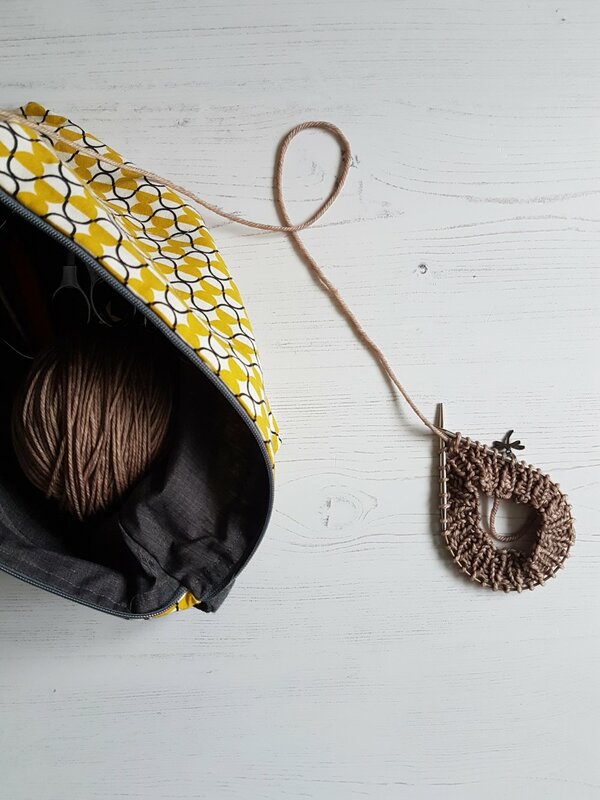 In an ideal world we would cast off our latest project and then immediately turn to a friend, loved one or knitterly colleague to show it off to. Often though, we don't have knitty folk around us and so we turn to our online friends instead. Our virtual community of yarny folks who understand and instinctively know just how many hours of work that cabled blanket took to make. But in the excitement of taking a photo and sharing it online we don't always have the time to provide the pattern details or yarn details or go into specifics about what cast on we used. We just want to share our stuff. And we should feel free to share our stuff without the pattern police popping up to insist that we provide a link to help them populate their own pattern libraries. Let's face it, if you are anything like me your Ravelry pattern library already contains more patterns than you could knit in a lifetime. It's hardly the end of the world if you can't add another one to it. Today marks a series of fresh starts. And of course, some knitting plans. My first working day not in the NHS. My first time ever with a proper lunchtime break - which of course should be more properly referred to as a midday break for knitting. A new job needs a new notebook of course and this week marks the start of me using my new Strickplanner in earnest - as opposed to keeping it neat and tidy (and empty) for fear of spoiling it. My cunning plan is to have 3 or 4 projects to work on each week with the rest stored safely away out of sight. These will include: a long term WIP (this week it's my Mdina cardigan by Purl Alpaca Designs), a plain sock (obviously), a design in progress and something garter stitch (log cabin blanket fits the bill right now). Enough variation to keep me happy. Enough restriction to make some progress. That's the plan anyway - I'll let you know how it goes. If you had to pick one word to sum up your stash, what would it be? For me that word would be PREPARED. I'm going to say right now, just in case you were in any doubt that I love my stash, it's my pride and joy and I absolutely refuse to attach any negative feelings to it. So often I hear and see others complaining about their stash, feeling guilt over it, obsessing over it and generally failing to derive enjoyment from it. My stash is my happy place full of, as yet untapped, potential. I've destashed over the years and finally arrived at a balance I'm happy with. This was brought home to me this weekend when I realised that in just a weeks time I start my new job. A job where for the first time ever I can walk to work. This of course means knitwear - and specifically gloves. I suffer from a slight case of Raynaud's syndrome and really need warm mitts when I'm out and about in winter. As we are forecast for a bit of cold snap next week I plunged headlong into my stash to emerge triumphant with the perfect skein of worsted weight yarn (Malabrigo Rios in the colourway Sand Bank. 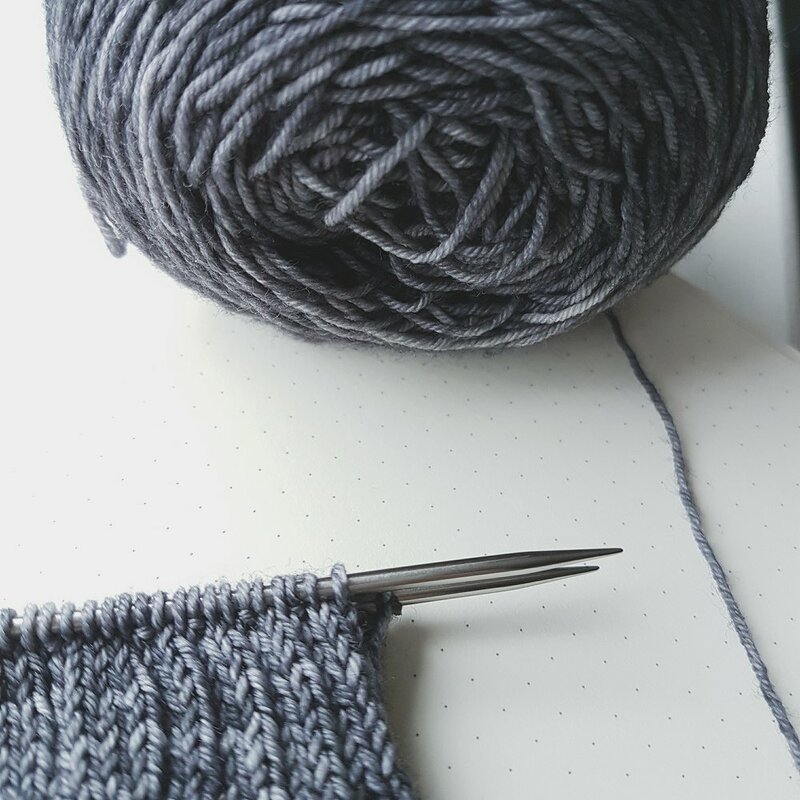 A fellow knitter recently recommended a TinCan Knits mitten pattern and so it only took me a few moments to find the pattern and get ready to cast on. All on a Sunday afternoon without getting changed out of my PJs. And if that isn't having a stash that is prepared for all eventualities, then I don't know what it. Don't get me wrong. I absolutely love Christmas. I love the anticipation, the twinkling lights and the smell of a real Christmas tree. I'm not so keen on the queues and the crass commercialism but on the whole I think that Christmas has a lot to commend it. But, for me, the real joy is that period that I've recently seen referred to Twixtmas. That special no mans land between Christmas and New Year when no one knows (or really cares) what date it is, and it's perfectly acceptable to eat mince pies and cream for breakfast. For our family it's made even more special by the fact that after the festivities are finished, we pack as much leftover food as we can into our car and head for the hills. Literally. We make our regular pilgrammage north to the Lake District and hole up for a week in our favourite cosy holiday cottage. I'm sitting this watching snow fall outside the window, looking out over the valley. 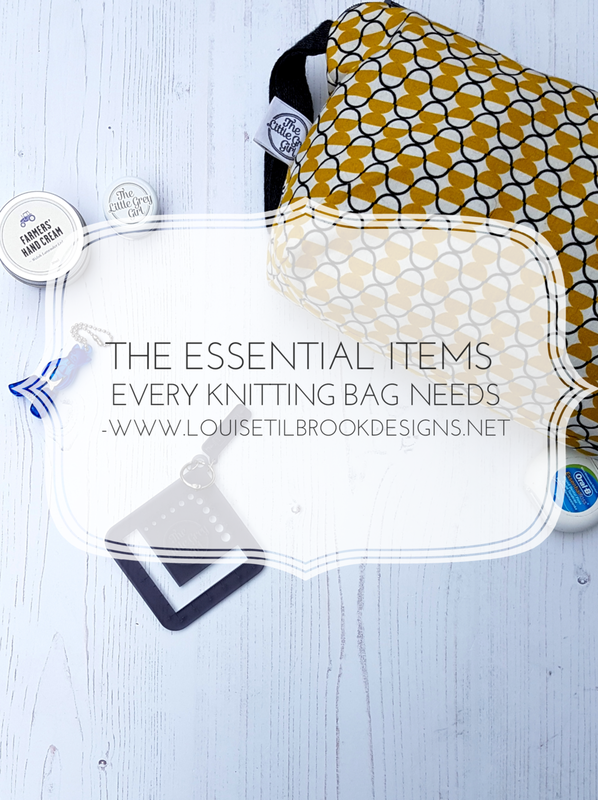 We have all our essentials (it's surprising how much knitting you can pack into a family car) and nothing to do for a week. I'm planning on spending the time knitting, writing and reading. One thing I am absolutely not going to be doing is making any sort of resolutions or Grand Plans. Out of interest I brought a few of my old journals with me and one thing I was really struck with, was how repetitive they are - and not in a good way. My last 3 years journals show me here, in the same cottage writing much the same list of resolutions. But somehow I haven't transformed into that magical creature who rises at 5am, writes in her gratitude journal for half an hour and then greets the day with yoga, body brushing and a green smoothie. So, this year I am embracing being me. I'm not going to be destashing, cataloguing my Ravelry inventory or making knitting plans for the year. I'm not going to be reviewing my 2017 knits - because, really - who cares? And it goes without saying that Cold Sheeping is never going to happen in my house. I'm embracing my knitting, embracing my stash and embracing me. If anyone wants me I'll be sat in the window seat with hot coffee, my knitting bag and the last of the mince pies. To paraphrase the famous quote "If you knit something set it free" - this neatly sums up my attitude to knitting and gift giving. 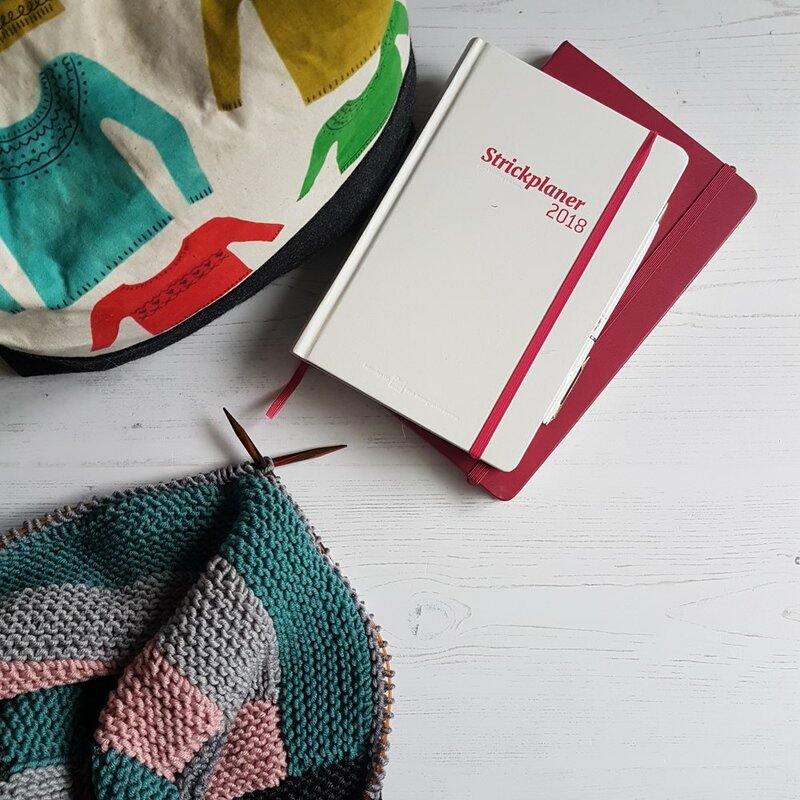 At this time of year particularly when us knitters are frantically trying to finish off Christmas presents (or like me, eating mince pies and contemplating the WIP pile) there can be a lot of discussion about who is "knitworthy". We've all heard horror tales, or even experienced them of a knitted gift carelessly thrown aside, of thoughtless comments and of thank you notes never received. A long time ago however I developed my own frame of reference for gift knitting which is quite simply, I don't. Or rather I do, but only on my own terms. If the recipient in question has asked (politely, and in a suitable timeframe) for an item then that's fine. We can have a discussion about colours, yarn choices and styles. I usually set up a Ravelry bundle of candidate patterns for them to chose from. In this way I've successfully knit gifts for friends and family for years and it works well. They get something they will love and wear to death and I get the satisfaction of sending a loved one or close friend out into the world warmly clad. What I absolutely don't do however is to knit random gifts for people on the automatic assumption that they will love it because I made it for them. Not everyone is as enlightened as us knitters and they may neither know nor care how many hours of painstaking work went into something. 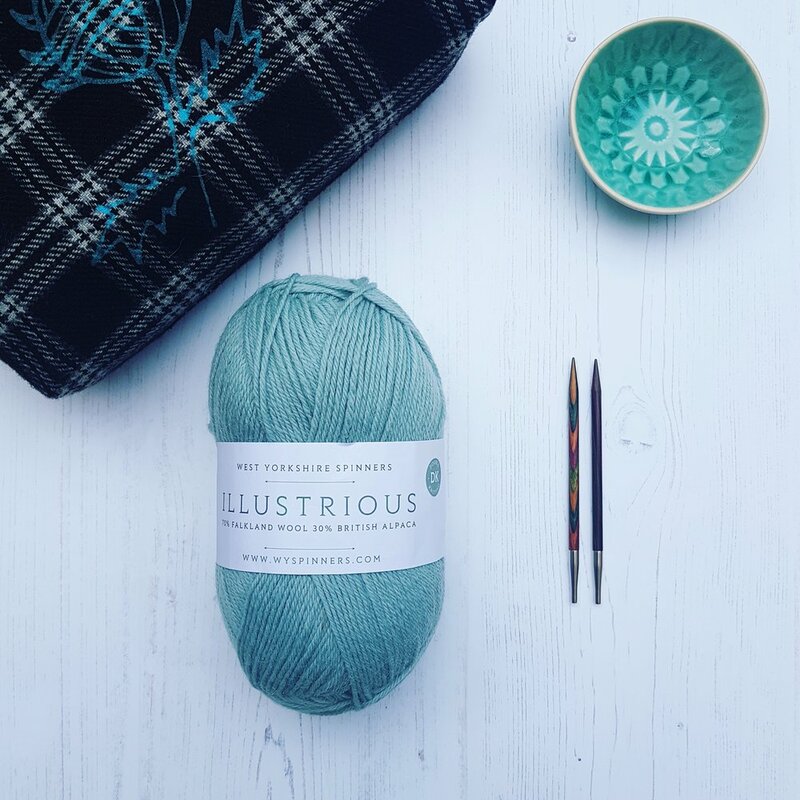 Colour choice, fabric/yarn choice and personal styling is just that - personal - and I would never to presume to that someone would absolutely love a bottle green cabled knit hat, just because I happen to have made it for them. Yes, it's absolutely lovely when you give a handknit gift and it is warmly, nay effusively received. 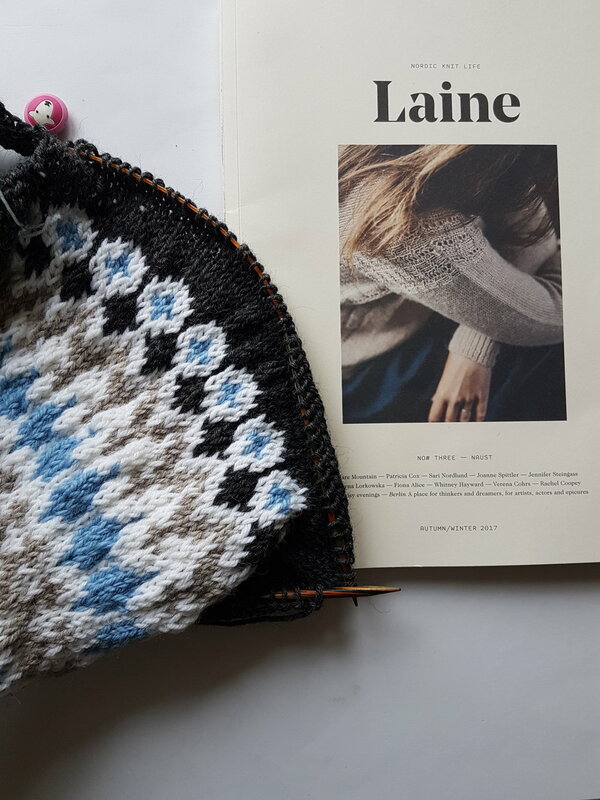 A thank you note or even a photo of the recipient wearing said handknit is a thing a of joy and something to be treasured. But I would caution against automatically judging those who don't send a thank you note and I'll offer up a personal story as illustration for this. In 2006 I had just had my second baby, exactly 50 weeks after having my first. Like his brother DS2 was premature and was critically ill for a short but very scary few weeks. Finally at home we battled with all the things that expanding your family normally entails, with the additional livener of having an active 13 month old in the house. The health visitor wrote "not coping well" in my notes - a euphemism for impending post-natal depression. But we moved on through a difficult time and eventually found our routine. About 6 months after DS2's birth I moved a random pile of stuff in the spare bedroom and found 2 beautifully knit cream matinee jackets, still in a gift bag. There was no note or card or anything to identify who had sent them, or when. DH denied all knowledge, as did the other relatives who had been staying with us. It was a total mystery and obviously they were now way too small for my rapidly growing boy. I felt terrible that I had no idea who to thank for them, and also that I hadn't used them. But in truth I didn't use any of the handknit items I was given (apart from a blanket) - DS2 spent his formative months in a series of white babygros as I had no energy for devising baby outfits. In the end, I decided to pass them on to our local baby unit along with some other bundles of donated clothing. I'm sharing this deeply personal story just to ask that perhaps we don't always rush to judge someone for not responding to a gift. Each of us, in our own way is doing our best with what life throws at us, and a lack of response isn't automatically equated with rudeness or ill manners. If you knit something knit it with joy and give it freely, without hope or expectation. Just give it for the joy of giving. And rejoice that you can cast on a brand new shiny project to replace it. In todays whirl of social media where what we see is increasingly filtered to our likes I wonder whether we are, to some extent, losing the art of gentle debate. The to and fro of discussion, the striving to listen and to understand another's point of view or an alternative opinion to our own. Every so often a topic crops up on the interwebs which is a so-called hot topic. Something that people invariably have strong views on. On both sides. We aren't talking global politics here - although sometimes we are, but even something as seemingly innocuous as charity knitting or the size of one's stash can often raise peoples hackles and cause tension and dissent. A lot of that seems to stem from the fact that people want to keep their knitting "just for fun" and don't want it "spoilt" by other people who are ruining it for them. The idea that anyone could say something that would "ruin" knitting for me is a little odd though because after all we have the choice in how we respond to other other's opinions. Discussion of this nature is often followed by calls to keep the group "all about the knitting" but surely that would lead to a fairly bland and homogenous mix of knitwear. Don't get me wrong, I love knitting as much as the next person but wouldn't an endless parade of knitted blankets and shawls with the "lovely" comments be just as boring and annodyne. Whoever said that variety is the spice of life had the right idea and we all need a bit of spice every now again to get us thinking and more importantly to get us listening. In one of the moments of pure serendipity that I just love about the internet, just as I was setting this to 'publish' I was listening to Emma Gannon's podcast Ctrl-Alt-Delete. She had a terrific interview with June Sarpong - British TV presenter who has a new book just out called Diversify. The idea is that we should all take the time to listen to and understand people who are not like us and who don't think the same as us. If we spend time just within our cosy bubble - whether that be politics or knitting - then we never learn anything new and we never change.